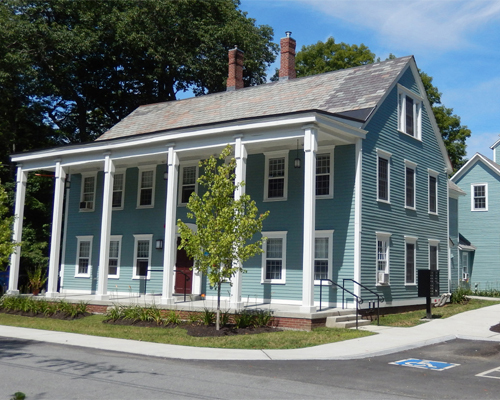 In October 2014, under new ownership of Windham & Windsor Housing Trust, the building started another transformation back to its original historic charm undergoing extensive work to bring it back to life. The exterior of the building maintained its historic appearance while the interior was essentially demolished and reconstructed. A tight thermal shell was added to the inside of the exterior walls which reduced heat loss by approximately 85%. 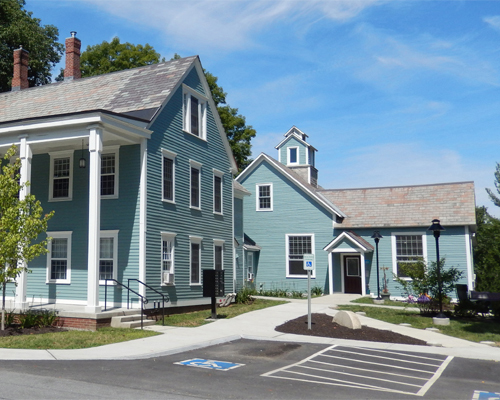 Insulation and new windows were installed with the exception of the front façade where the historic windows were refurbished. The site at the back of the property was eroding and affecting the foundation and back wall of the attached barn. The building was lifted with steel beams and the existing foundation was removed and a new foundation was installed. This effort strengthened the building and eliminated the drastic slope of the floor within the space. Extensive site work helped secure the embankment to avoid future issues with the new foundation. The interior layout was reconstructed and consists of eleven apartment units ranging from one to three bedrooms. 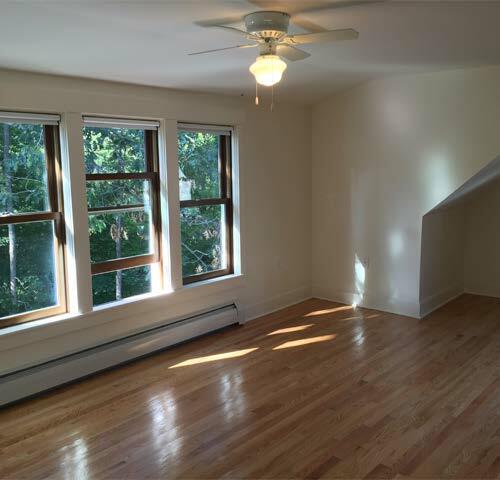 A dormer was added to the living space of the third floor unit providing additional habitable space and allowing natural sunlight into the apartment. 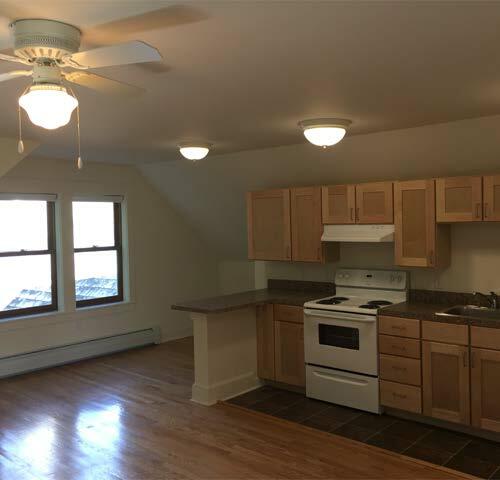 All of the apartments have new kitchen appliances and plumbing fixtures. Energy efficient lighting was used throughout the building and a new pellet boiler was installed in the basement.